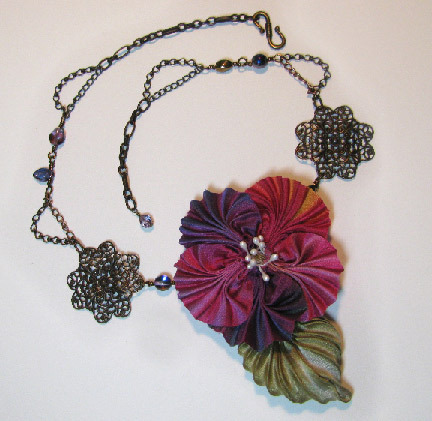 This Wild Rose Necklace is the piece that I made for the Bead Journal Project back in August. Sorry that it's taken so long to share the tutorial, but I had to first show you all the parts, which are linked below! 1. 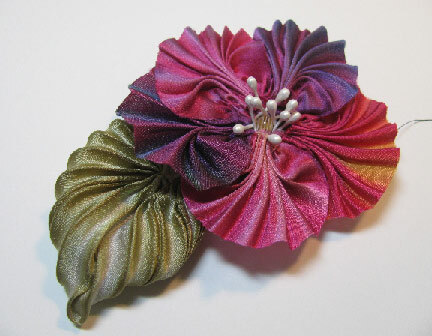 Create a wild rose flower according to the instructions at the link. Make a leaf according to these instructions. 2. 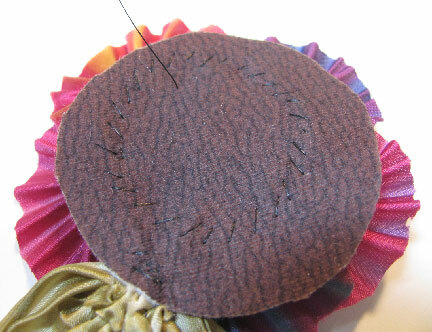 Cut a small piece of backing fabric and lightly glue it to the back of the interfacing. 3. 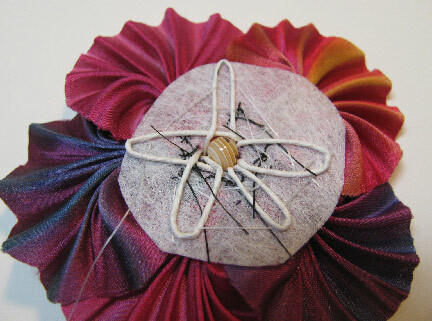 Stitch the flower and a leaf to the backing fabric, and clip it so none shows from the front. 5. 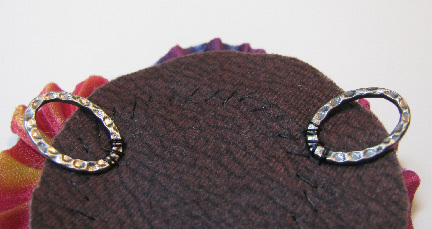 Stitch on two soldered loops. 6. 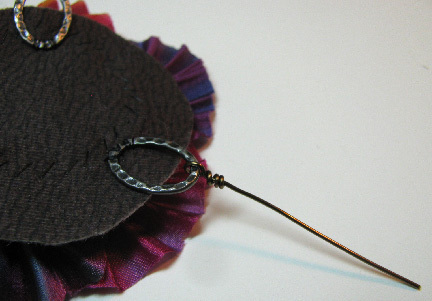 Add a wire to each side with wrapped wire loops. 7. 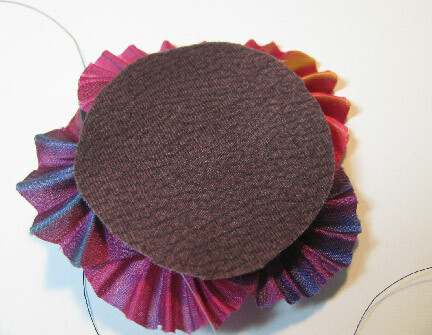 Add a bead and a filigree piece to each side. 8. 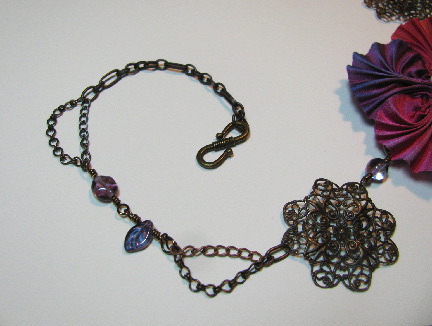 Add various chains pieces and wire-wrapped beaded links to one side and finish with a hook clasp. 9. 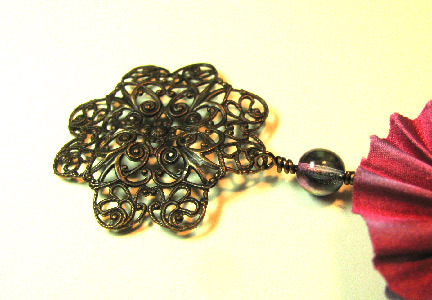 Finish the other side similarly, and end with a beaded dangle. 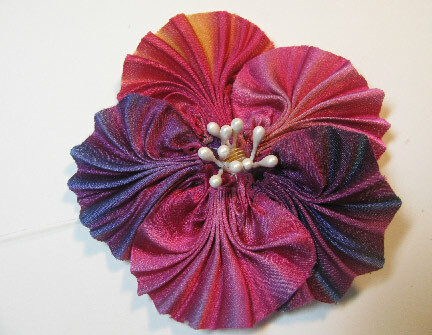 I've been wondering what you might do with this gorgeous silk flower. It's perfect! Once again, I would have never thought to do this. You always show me something new.